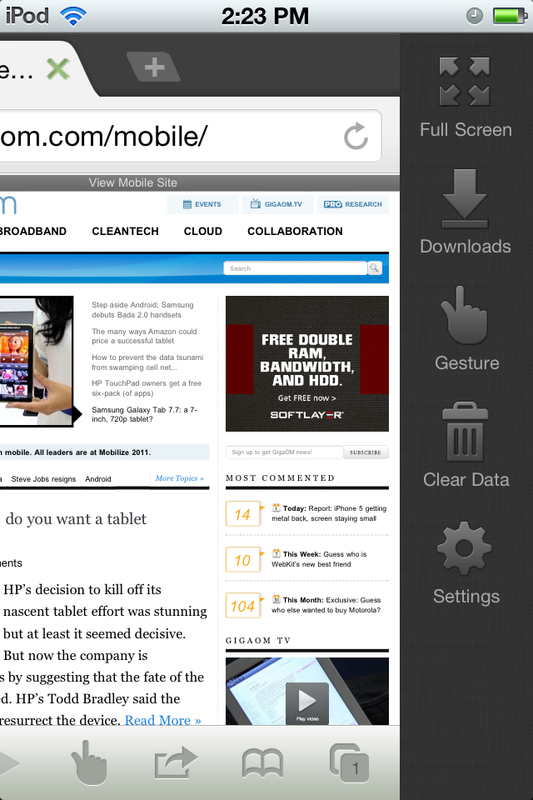 So who picks the browser on a mobile device: You or “them”? I can certainly understand why both companies are up in arms — no pun intended. Each has long supported an open web and have built some or all of their business with such products. Along the transition from traditional desktop to mobile computing, however, the rules have changed. Smartphones and tablets are at times are obviously considered to be portable computers, but they’re also looked upon as consumer electronic devices, which have a long, rich history of proprietary software, connectors and technologies. Along the timeline of this change from standard computer to CE device, Apple(s AAPL) has arguably best made the transition. The “it just works” mentality isn’t 100 percent accurate, but the latest Apple devices come closest in that regard. Think of the iPhone, iPad and even Apple TV: These aren’t just high-priced computing products; instead, you turn then on and use them just as you would a standard television set, an old VCR or an electric fan. All of the complexities inside the Apple product line are hidden by simple, intuitive controls, for example. I don’t use Apple as an example to say they have the best products. Instead, it’s to show that their smartphones and tablets are more like traditional consumer electronics devices than products from most of their peers. And there’s another reason for using Apple here: For some time, Apple didn’t allow third-party browsers on its iOS devices. It does now, but they’re restricted just as Microsoft is restricting other browser capabilities in Windows 8: You can’t set a third-party browser on iOS to be the default browser, which is terribly inconvenient and likely holds back a significant amount of iOS users from using Dolphin HD or Opera to name a few. Google's griping about not being able to put Chrome on Windows RT. So when will I be able to install IE on a Chromebook? The obvious answer is that you’ll never be able to install Internet Explorer — or any other third-party browser, for that matter — on a Google ChromeBook. Google developed the ChromeOS, which is essentially a Linux core that runs Google’s Chrome browser. How is that different from what Apple does or what Microsoft intends to do? As a consumer, I personally like choice. It’s choice that drives some away from Apple’s iPhone, for example, and towards a phone that runs Android or some other alternative. Mobile technology however is a huge series of trade-offs because it’s so personal. If you want the rock-solid and intuitive experience from Apple, you give up some choice to gain that experience. Willing to tinker with your device so you can run any app you want and have your phone look the way you want it to? You may give up some of the polished refinement of iOS in order to get that freedom. Unfortunately, as mobile technology intersects more with and emulates a consumer electronics mindset, some companies are going to continue to control more of the experience, and in this case that experience is web browsing. I’m not sure this is in Microsoft’s best interest, however, mainly because the company has tried tablets for over a decade with relatively little success. Simply put: it doesn’t need another potential obstacle in the way of Windows 8 tablet sales, considering the competition from and traction of Apple’s iPad. No matter how this browser battle plays out, I’ll do what I always do. I’ll consider the overall product, look at the trade-offs made by choosing one tablet over another and simply vote with my wallet. Ultimately, you do have the choice because it’s your money to spend on the device and browser(s) you want to use. Doesn’t blocking and restricting competing browsers violate antitrust laws? Isn’t that what the DOJ busted MS for doing on desktop computers back in the 90s when Windows came with IE 6 preinstalled? If that is the case I will avoid Windows 8 RT. Thatâ€™s means I only use trident core browser in win 8 .avant browser? Maxthon? Didn’t Microsoft get sued by the DOJ and the EU for not playing nice with browsers? Didn’t the EU require that windows allow people to install alternative browsers? If they call it Windows how will it be effected by the outcome of those previous lawsuits if at all? 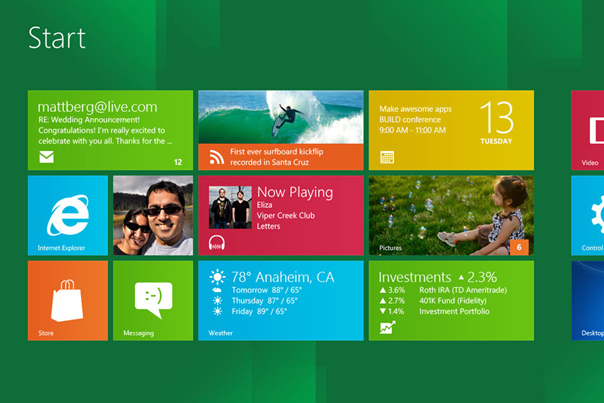 Windows RT will be a single variant of the family of Windows products. It’s current market share is 0%. Therefore restricting third party web browsers from the desktop portion of Windows RT, will have virtually no effect on third part browsers, and negligible effect in years to come. There is therefore no antitrust issue, because Mozilla can freely create its browser for virtually all Windows machines. The reasons are stacking up rather quickly lol. . .
Don’t know about anyone else but I CANNOT function daily without a full featured version of Chrome & Firefox. Bundling stuff to get monopoly profits are an old story. After he learned monopolistic practices at NCR promoting cash registers (mechanical computers) Tom Watson Sr. was jailed for monopolistic sales practices. Nevertheless, Tom Watson was caught bundling hardware and software while refusing to sell (it only leased computers). If Microsoft’s lead engineer returns Microsoft to its previous position where IE is bundled with Windows, he’ll watch as a lawyer is named to manage the legal mess while technology passes Microsoft by. Not them. They have no free speech rights. Unlike search which is protected by the First Amendment, Devices /operating systems cannot bundle their search and or social for their advantage. Try Ross Perot vs IBM, or the world vs IE/Microsoft. What if Windows 8 for ARM, instead of being called â€œWindows RTâ€, were instead called, say, â€œMetro OSâ€? Would that make a difference? Is Dotzler arguing that Microsoft should not be permitted to ship a version of Windows that locks out third-party browsers, or that Microsoft should not be permitted to ship any OS that locks out third-party browsers?